To provide resources for weary and hurting people in need of spiritual, emotional and physical rest, so that they may lead renewed lives of faith in God, hope in His word, and love for others. Restless Heart seeks to help individuals, couples and families through professional counseling and spiritual guidance, podcasts and Bible studies, and through its biblical resources website. Our ministry works hand-in-hand with the local church and professional counselors as a resource to help weary and hurting people. 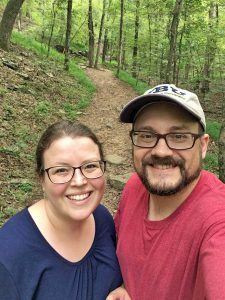 Restless Heart Ministries is located in the Ozark Mountains of Northwest Arkansas and is operated by John Newton, a Dallas Theological Seminary graduate, author and ordained minister, and his wife, Shannon, a licensed professional counselor (MS, LPC). If you are interested in partnering with the Newtons as they seek to bring reconciliation, healing and counsel in the name of Jesus Christ, please contact them through the Contact Us page.